It’s here! My second fitness iBook is now available! Break the Excuses and get fit! Have you ever thought your work got in the way of you living a healthier life? Is your family not supportive of you becoming more fit? For many people, these reasons, and more, get in the way of them achieving the bodies they want. This book breaks down 10 of the most popular excuses people give themselves to not workout, and examining how human physiology proves these myths wrong. The second half of the book then goes into The Fundamentals. Through easy to follow instructions and visuals, The Fundamentals walks you through the most important exercises to have in your gym bag. There are no excuses when it comes to your fitness. 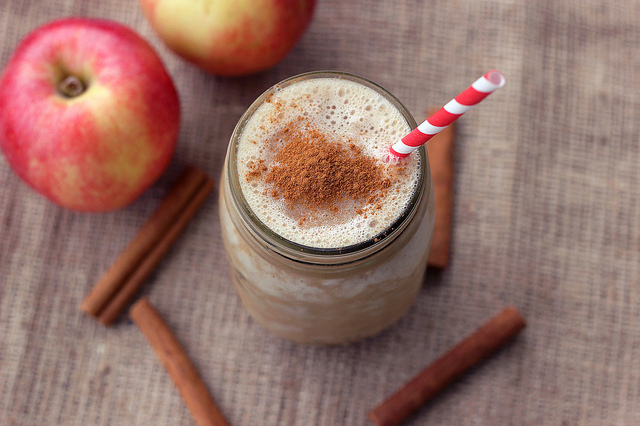 Achieve the healthier lifestyle you want! 1. Family– A hectic family life can make it near impossible to focus much time or energy on our own health. 2. Work– A jerk boss or gossiping co-workers can make our workload seem even heavier, leaving us exhausted after work. No one could possibly hit the gym after hours of that! 3. Money– Sometimes bills are high and there’s just none extra to cover expensive gym memberships or workout classes. Hey, don’t forget those expensive supplements! If you’re not a millionaire, there’s no way you could ever get fit! My book handles these silly yet common excuses and much more, providing you a guideline to follow and some easy to follow tips on how to work around these obstacles. I also provide a bonus section with many exercises, easy to follow instructions, and a helpful walk through on what to do at the gym or home gym. Here’s your chance to take on those reasons NOT to workout and get that body you want. 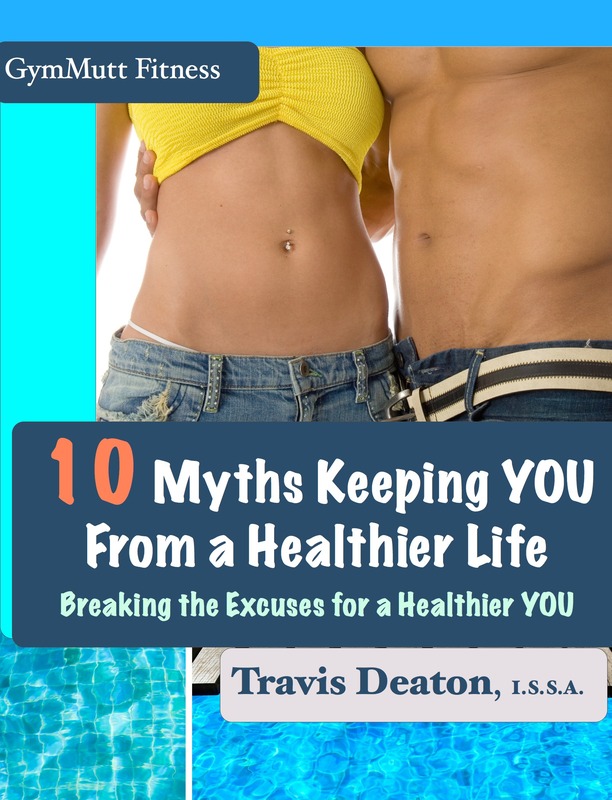 GymMutt Fitness 10 Myths Keeping YOU From a Healthier Life: Breaking the Excuses for a Healthier You by Travis Deaton, I.S.S.A. Gym Entry #1: Back Day! For this exercise, I focused on achieving full contraction and held each rep for 3 seconds each. Doing this not only achieves higher contraction, but also goes a very long way to growing a higher rate of motor neuron connectivity. Doing this promotes far more growth of muscle than doing 100 reps with no hold. I also sat reverse from the cable machine, to target more of the upper lats. In bodybuilding, this position is best affiliated with the rear double bicep pose where the upper lats are squeezed. Now, for years I have done bent over rows with hands over the bar. This has always resulted in a strong back, and some great definition and size. However, my lower lats are still too high. So, to bring those lats down more, and create even more size WITH definition, I opted to try the reverse grip. I must say, this really changed the exercise! For one, reversing your grip on the bar limits the range of motion. Rather than being a negative, this limit actually ENHANCES the exercise! There was 100 times more contraction as the weight held constant tension, and the squeeze at the top was complete. I usually do about 185ibs to 315ibs on this exercise with hands over, but with reverse grip, or supine grip, I only did 125ibs for higher reps. I’m going for size, and not maximum one rep record breaking! Incredible exercise, and I highly, highly recommend you try it out! This exercise is for lowering the lats and creating thickness in the back. Primarily, it works the middle back, but also works all other muscles of the back, as well as, the biceps. An incredible exercise, this one does not require a lot of weight to be effective! Focus on the full squeeze and range of each rep and REAP THE BENEFITS! This is personally one of my favorite back exercises, and you most definitely should give it a try. Normally I would perform this exercise with the standard cable pull, but my gym recently gained a newer free weight machine that I had to try. Nothing wrong with experimenting with new equipment! So this machine moves with the body. Some of you are probably familiar with these. Rather than being stationary, they allow for fuller contraction by allowing the seat move with the user. So I hopped on, and gave it a go. IM GLAD I DID! All my doubts were tossed out the window, my friends. I started slow, light, and focused on full contracting with really slow negatives. Then I had to break this machine in with some heavier weight! 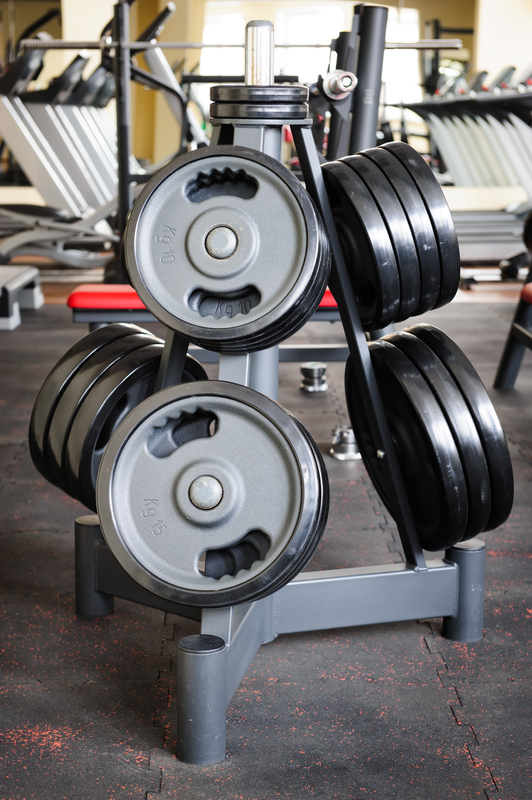 blasted with two plates each side, 2 or 3 second hold on the squeeze for each rep, and a brutal 5 second hold on the final rep of each set. REALLY CRUSHED IT! Since the feel of the machine allowed for fuller contraction, I switched things up a bit. First 5 or so reps I would do short range, full tension, slower reps, then switched to normal pace and normal range reps for the final count. This really got down to those fibers that are normally neglected by standard pull downs, and go a long way to creating size and definition. And that was my back workout for the weekend. I normally do one arm dumbbell rows, but this particular night, I really wanted to go for the full squeeze and try some new techniques out. If you want more tips or questions on your current routine or want help structuring one out, contact me! Summer is coming, and it is time to kick into gear! I have relaxed way too much this winter, and used most of my energies to writing these first two GymMutt Fitness iBooks, and now it is time to double down on my own workout. My goal is pack on the muscle, and shred up. Below is a rough outline of my weekly split. Each line is a separate session. Each day, a double workout. Its serious game on now. More on specific exercises and daily workouts will be posted here as I go, so check back for more details on reps and super sets! Meal plan will be the usual bodybuilder cookbook: fresh, fresh, and lots of meat, whey, and casein. Creatine will be a major feature in my diet, as well. I suspect I will be taking in roughly 5,000-7,000 calories a day. Typically I aim for no less than 4,800 calories for a single split routine, but I’m going for doubles. So no time to be shy! Show support and keep up to date with everything GymMutt Fitness! 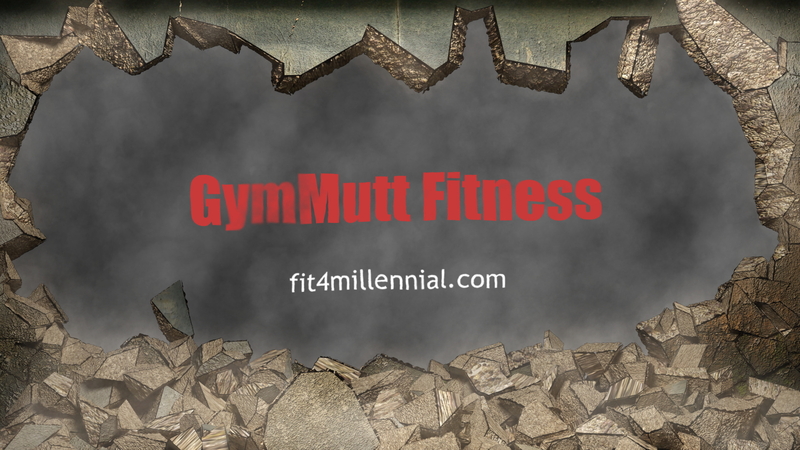 Join GymMutt Fitness on Facebook! Join my new Facebook page for GymMutt Fitness! 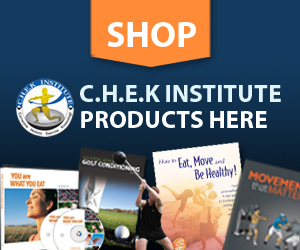 Get news on upcoming iBooks, Udemy courses, and GymMutt Fitness YouTube Channel! Show some love! Spread the word!